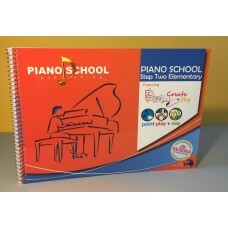 Piano School Elementary book carries directly on from Preparatory book. 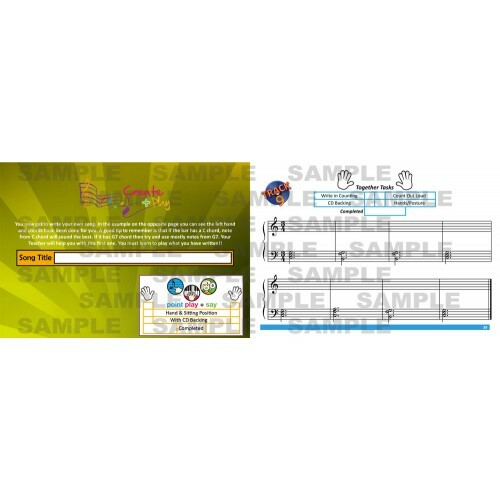 Elementary Step Two contains 18 fun songs to learn, all of which contain their own backing band on the online backings. 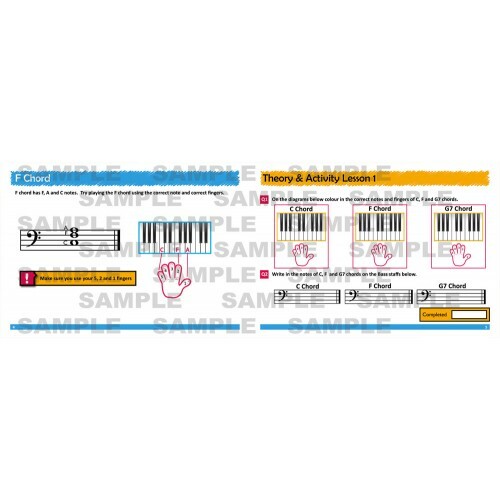 The book also has a range of theory and rhythm exercises to help students develop their musical skills. 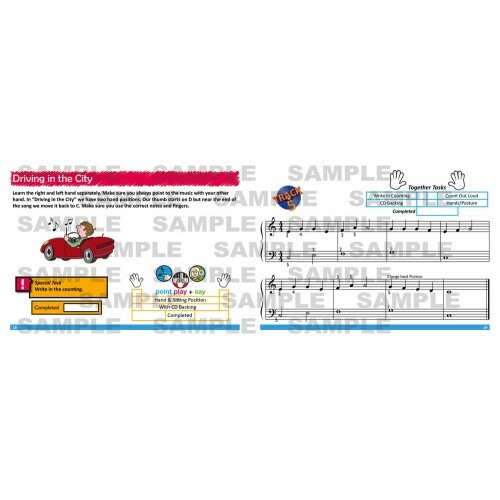 All of our books use our unique “Point Play + Say” system, which makes reading music easy. 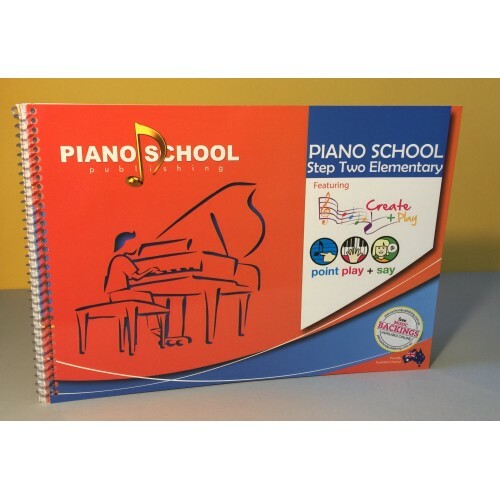 This book also features “Create & Play” exercises so every student regularly gets to write and perform their own music. 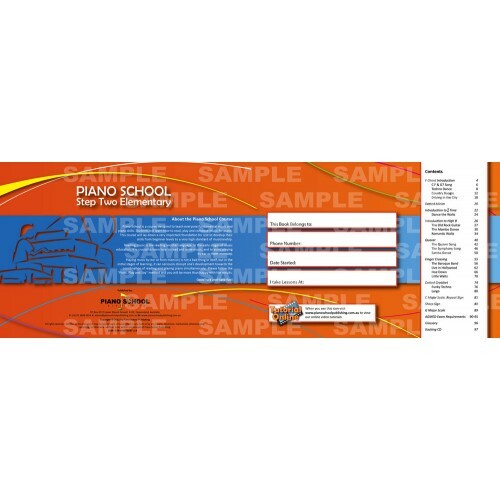 For those wanting exams, everything you need for the AGMED Elementary exam is included at the back of the book. There are also a series of online videos to help teacher, parents and students as they progress through the course.